Why you should attend . . . This is not just a "workshop", it is an EXPERIENCE! Not the kind of experience you have at a large conference which we compare to a grandiose buffet - rushing from one micro-presentation to the next, and listening to a lot of sales pitches. It is more akin to a small, elegant dinner party in which you enjoy gourmet food and good conversation. A place where you can think deeply, explore, learn and create! An experience in which you receive the royal treatment you so much deserve. 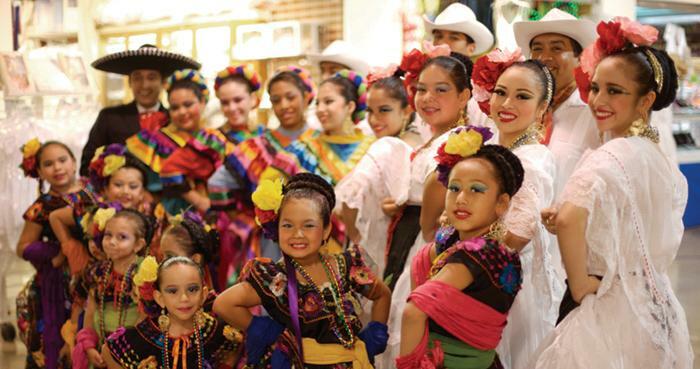 The experience of the institute, combined with the experiences of the learning environment - San Antonio and the Riverwalk, the museums, the Alamo, the music, the culture . . . all will serve to feed your soul and your mind, and can become richly integrated into the learning experiences you create for your students! If you have decided to take your classroom, school or district into the 21st century, this is the institute for you! The 21st Century Schools Institute has been carefully designed to provide you with the knowledge, tools and skills to create an environment and a curriculum which meets the needs of the today's students. Realizing that every district, every campus and every individual educator is somewhere along the continuum between a totally factory model paradigm and a totally 21st century model paradigm, we work with you from where you are right now to create a plan to move forward. The presenters, or facilitators, will support you in designing your own, unique, personalized plan. We are aware of the many obstacles to designing and implementing full-blown, 21st century educational experiences. We can help you to create your own "Oasis in the Desert"! And it will be individualized/personalized for your specific situation. These compasses. which are embedded within an intentionally designed learning environment, help us ensure that we are providing a holistic, comprehensive, integrated learning experience that is truly targeted and focused on what education is, can be and should be in the 21st century. See our Framework for 21st Century Education. The Learning Environment - We believe that you cannot create real change, or authentically provide a 21st century educational experience for your students, unless and until you address the physical and emotional learning environments as well as the academic environment. Design of the learning environment will be addressed in the workshops. Multiple Literacies and 21st Century Skills - This institute is designed to incorporate and integrate critical skills required for life and education in the 21st century. Media Literacy, Ecoliteracy and Financial Literacy can be developed by your students when you integrate them into your curriculum and culture. You will learn about these and other literacies and skills required for success in the globalized, constantly changing world of the 21st century. These skills are not luxuries, not add-ons, but are essential to an authentic educational experience. The Curriculum - You will learn how to develop curriculum that is Project-Based, relevant, rigorous and real world. You will learn how to design a curriculum that is designed down from and based upon important concepts, and you will discover how the content standards and basic skills will be learned by your students - at very high levels - through these motivating projects. Students find school relevant as they research and utilize a variety of thinking tools in order to answer Essential Questions addressing real world problems, issues important to humanity and questions that matter. Technologies, Blended Learning and the Global Classroom - Learn how to authentically integrate all the fantastic technologies available to us today! These technologies, used correctly, are the vehicles to implementation of 21st century curriculum. Teaching, learning and curriculum in the 21st century is blended - a combination of "brick and mortar" and online learning. Combining technologies and blended learning you can help your students develop important global competencies as they collaborate in real research with students, teachers and experts in other countries or cultures! That's motivation! Experience the 21st Century Classroom and Curriculum - We will model the 21st century classroom as much as is possible within the confines of time and place. Our workshops are not the "sit and get" lectures you have known in the past. Our workshops are hands-on and interactive, and you will be supported by the presenters, Anne Shaw for PBL21 and Paul Shoecraft for MOVE IT, Math!, as you learn experientially and collaborate with others to design curriculum and instruction for your students - in your community, your school district, on your campus and in your classroom. Personalized Learning for You - We limit the size of our workshops in order to be able to provide one-on-one support and individualized attention. You will not be just one in a crowd of 100 or hundreds! What You Will Take Home - You will return home with an arsenal of resources, plans, teaching strategies, thinking tools, Web 2.0 and media literacy tools, and with a framework for a powerful, exciting 21st century Project-Based Unit that your students will love! You will know how to create a learning environment that is supportive of self-directed, independent and interdependent learners! You will know how to create curriculum that goes far beyond the content standards and basic skills. Your curriculum will be designed to help your students develop the 7 Survival Skills articulated by Harvard professor, Tony Wagner, in his book, The Global Achievement Gap - Why Even Our Best Schools Don't Teach the New Survival Skills Our Children Need - And What We Can Do About It. "Learning is serious, but that doesn't mean it has to be grim!" Food - we know that well-fed educators are Happy Learners! In addition to the excellent culinary experiences you will enjoy on the Riverwalk, we are providing attendees with Continental Breakfast, a Mid-morning Snack Break, Lunch and a Mid-afternoon Snack Break! Learn more here . 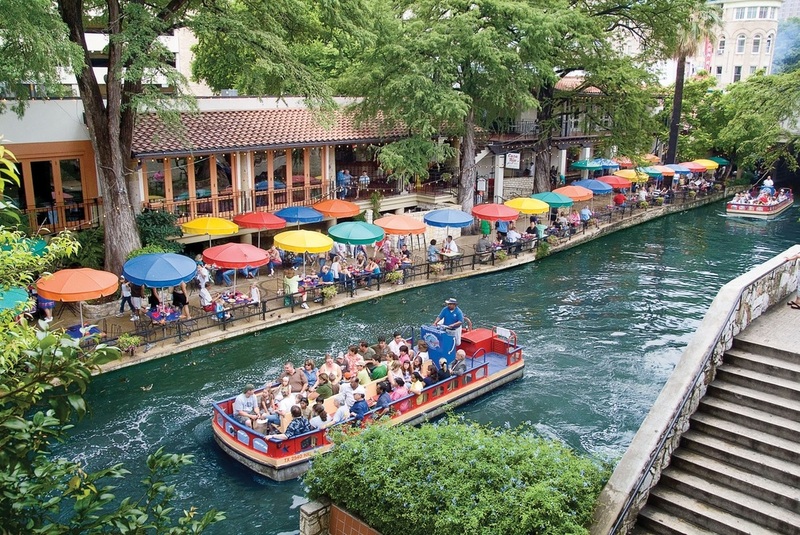 . .
History, Culture and more - San Antonio and the Riverwalk - we always hold our regional workshops in cities which are rich in history and entertainment. The Riverwalk itself is spectacular, and if you've never been there you must go! A tour on a River Taxi is a must do! Magnificent cypress and palm trees, fountains, foliage, fish and ducks abound. The Riverwalk is designated as a Horticultural Landmark, a distinct honor bestowed only upon the highest tier of horticultural sites around the world. Sites are evaluated for their historic, scientific, aesthetic, or environmental value. The Riverwalk itself is a lesson in environmental studies, history, architecture and engineering (as it serves as a flood control). For Summer Institutes, the temperature in the summer is cooler by 7 degrees than the city streets above due to a combination of evaporative cooling from the lush foliage and shading from the spectacular trees. If you are able to bring your spouse and children along there are many wonderful things for them to experience here. Even if you are just walking, there is an abundance of history, culture, art, museums, and architecture to experience. Visit the Alamo across the street, shop and dine at El Mercado. Take advantage of these opportunities and share them with your students when you go home. If you can stay an extra day or two you will certainly be the richer for the knowledge and experiences offered in this wonderful city, in this wonderful part of the United States. Learn more about what you can enjoy here on our San Antonio page! El Mercado, also known as Market Square, is within walking distance.